President Obama has had quite the year. It's been a heavy one, with mass shootings, the Syrian refugee crisis, and the threat of global warming all staring him in the face. Politics and crises aside, the commander-in-chief somehow made time to relax, take in some movies, listen to music, and even read some great books. In a recent interview with People magazine, he and Michelle named their favorites. 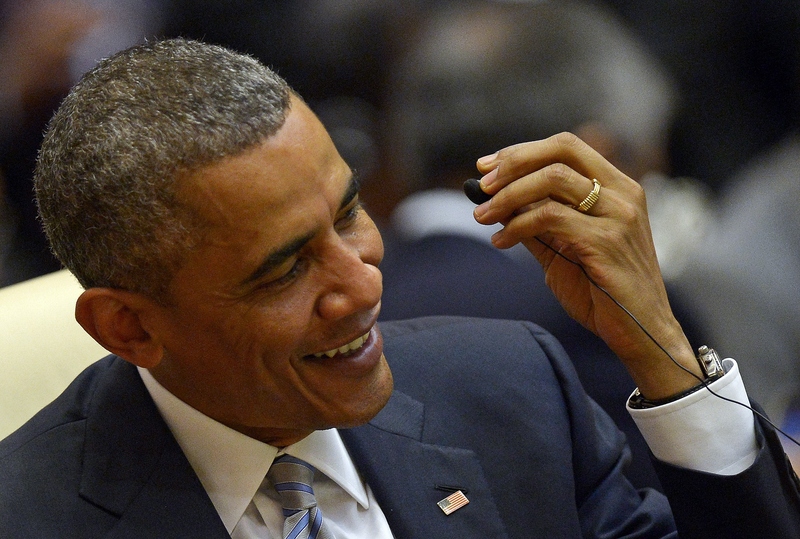 Obama's favorite song of 2015 is Kendrick Lamar's "How Much A Dollar Cost." Michelle's favorite? Mark Ronson's uber-catchy "Uptown Funk" featuring Bruno Mars. The two songs differ greatly in terms of their artistic merits. Lamar's mastery is in his lyrics, and the rapper's contemplation of the real value of money is certainly an enchanting one. Weaving biblical allusions with an interaction between a beggar and Lamar has "How Much A Dollar Cost" feels as much like a parable as a modern day commentary. It's that brilliance that has Lamar leading the awards season pack with 11 Grammy nominations. "Uptown Funk" received four nominations alone though. Ronson, an acclaimed producer praised throughout the audio engineering world for his unique approach to composition, set out to make an effective funk song, enlisted the help of pop superstar Mars, and let the multi-faceted soundscape do the talking. The way the president and first lady are a bit more similar is in their choice of favorite books for 2015. Obama cites Lauren Groff's brilliant work of fiction Fates and Furies as his top pick. It's a book about love as told by both husband and wife. Michelle's pick is the nonfiction The Light of the World. Written by poet Elizabeth Alexander, who was tapped to read her poem "Praise for the Day" at the 2009 inauguration, the memoir chronicles Alexander's life after her husband's sudden death. They're not relationship books per se, but a glimpse into the psyche of those whose bonds cannot be shaken. The subtle differences between the first couple's picks is actually pretty refreshing. They've both got cool points all on their own, of course. Though Obama totally hits the mark on picking The Martian over Michelle's Inside Out for best movie of 2015, I've gotta side with Michelle on choosing Black-ish over The Knick for best TV show. Plus having Obama and Michelle on the show (which may actually happen) would be a pretty great way to end the president's more pop culture-focused second term.